The Connecting Strathnairn project aims to facilitate the installation and operation of superfast fixed wireless broadband throughout the Strathnairn Community Council area. The Strathnairn Community Benefit Fund have recently approved the second phase of an ambitious process which seeks to secure the long-term improvement of a fundamental part of the infrastructure of Strathnairn, which has been consistently identified as problematic by local residents. In the Community Survey of 2011, broadband received the third lowest score (2.1 out of 5) of all the services respondents answered questions about, second only to job opportunities (1.8) and mobile phone reception (1.9). Mobile phone reception is now finally being addressed with the award of the emergency coverage contract to EE, and job opportunities are part of a wider problem with rural deprivation to which Strathnairn might be more resilient than most, but which is still clearly a problem for many. The provision of a robust, next generation, fixed wireless broadband network has the potential to provide substantial economic benefits for the wider community, enabling businesses to operate from premises based here rather than in the town, facilitating more effective home working, and thereby enhancing the community’s attractiveness as a place to live, work and visit. The desirability of high speed internet is equally true for attracting and satisfying guests and visitors to the area, as the availability of high speed internet access is widely considered by bodies like the Scottish Tourism Alliance, Visit Scotland and the Scottish Licenced Trade Association to be a key factor in dissatisfaction of both tourists and the landlords trying to provide access for their guests. As the system proposed will not require a phone line, only power, the solution is especially suited to holiday cottages, and offers potential to the community for future provision of Wi-Fi hotspots. The Scottish Government has recently completed a procurement exercise for the first phase of their “Reaching 100%” (R100) programme and as a result public funding for community broadband projects is currently unavailable. However there are considerable question marks over the scope and effectiveness of the R100 project for communities like ours. The issues are discussed in detail in the review of Community Broadband Scotland published in November 2017. There are several communities where projects like this are underway at various stages and where hard decisions are having to be made about whether to continue with the project as it stands, revert to a “stop gap” solution or simply wait and see in respect of the R100 rollout. The particular factors relevant to our own community were presented and discussed at a community meeting held in March this year (the presentation may be downloaded here), and the overwhelming view from those present was that there is a real risk that R100 will not deliver an optimum solution for the whole community, and that those households who do benefit from the rollout may have to wait several years for the programme to reach them during which time the digital gap within this community would continue to grow. The major risk of relying on R100 is that those more remote properties which are not served by the initial phases of the programme will be left reliant on a wholly inappropriate satellite solution funded via a voucher scheme. Accordingly, rather than proceed with a cheaper “stop-gap” solution, the meeting attendees agreed that we should aim for a fully NGA (next generation access) compliant, long-term solution that would solve the connectivity problem for the benefit of the community as a whole. 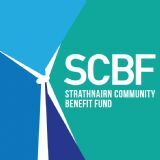 In the absence of public funding (which in itself could have been extraordinarily complex due to State Aid rules) the community agreed that we should seek funding for this project from the Strathnairn Community Benefit Fund. Shortly after the community meeting SCBF approved £8,700 of funding for survey and design work by two local companies in order to establish the feasibility and costs of an NGA-compliant fixed wireless network. The submissions were received in early May. Following our review of the submissions and a rapid technical appraisal undertaken on our behalf by a specialist consultancy, we believe that we now need to enter into a further phase of negotiation and wider engagement. Accordingly, we now have approval from SCBF to embark on a second phase of engagement which will include consultation with landowners, local businesses and the wider community in order to finalise the proposed network design with an agreed delivery plan, payment milestones and legal agreement. We are still on track to hopefully be well underway with the build by the end of this year. We recognise that the proposed scheme represents a substantial investment in the Strath, which therefore carries with it a substantial responsibility to the community to ensure the end result is viable, sustainable and fit for purpose. Further details of the preferred bidder and the proposed solution, including the subscription services that will hopefully be available, will be released to the community once SCBF has had the opportunity to consider and determine our application. The second phase of the project will include a community meeting, including a presentation from the selected provider. The aim of this meeting will be to seek endorsement from the community for the plans and to generate interest from local businesses and individuals who may be able to contribute to the project. Please join the Strathnairn Facebook group to stay updated.